Everyone with white pants on wants to jump in a mud pit. After all, this is why we bought the white pants – to trash them. So why do believers jump back into a cesspool of sin? And why do they – as they sit there in their muddy, white pants – always give the same excuse, I did it because I can. I’m free, remember? I can do this because grace covers it. Am I free to jump back into the cesspool of sin? Yes. Just as I’m free to put my hand on a hot stove or free to run my car into a tree. I’m free to go back to filth. But why would I want to? Jesus rescued me from the filth. He pulled me out of the pit. He cleaned me off, gave me a new life, came to live inside me, and set me free to live. I see nothing in the cesspool that is worth revisiting. Everything worth living for looks back at me from the eyes of Jesus. That word allegiance means I have taken the power I had – the freedom to choose sin – and I have chosen Jesus. I’m fully committed with no desire to turn back. I used to be a slave to sin, but everything has changed. The cesspool will never again be my home, but there are still a lot of people who live there. People who need to hear the invitation to dance with their Savior. Rescuer from the Pit, I’m headed toward the pools of cess with You. Strengthen me, as there are old patterns there which once defined my life. Perhaps I don’t trust myself, but I do trust You and the transformation You’ve done in me. I have a story to tell to those in cess – an invitation to extend – to those who live in those patterns of sin. Lead me. Amen. You CAN be certain about the future! How can we have hope when it seems like the world’s gone crazy? Why would God let things get this bad? What are Christians supposed to do to prepare for the end times? 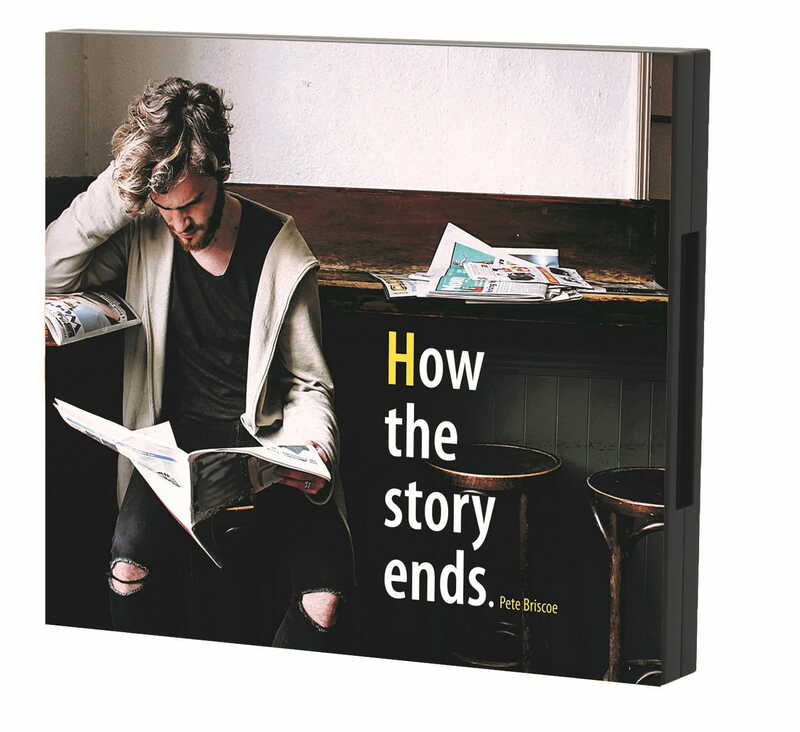 Get biblical answers to these questions and more, with Pete Briscoe’s NEW 6-message teaching series, How the Story Ends.